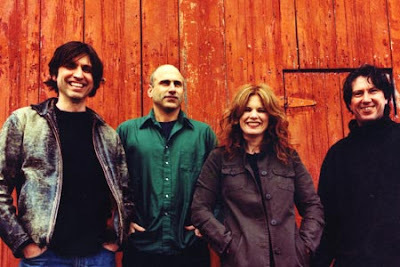 Speakers in Code: Cowboy Junkies Stream New Album, 'Renmin Park,' Offer "Clubhouse Subscription"
Cowboy Junkies Stream New Album, 'Renmin Park,' Offer "Clubhouse Subscription"
Cowboy Junkies, those generous Canadians. Yup, you can hear their album, Renmin Park, for free on their website (or just listen below). And judging from a few listens, this is an interesting and wonderful collection of songs, which are mostly influenced by lead songwriter Michael Timmins' experiences in China. Spend some time with it before you purchase! Our new album Renmin Park was released last week and for the time being it is only available through our website, cowboyjunkies.com. It will be made available for wider release in mid-June. But for now we sure could use your support. If you visit our site you can listen to the entire album for free and hear what we’ve been up to for the past few months. If you choose to buy the album you can buy it as a download or as a CD (we’ll also be putting it out on vinyl but that is a couple of months away). The download is available as a high-end 320 MP3 or Apple Lossless MP4 or in the audiophile FLAC format: all album downloads also include all of the lyrics and some of the charts. (Please don’t choose FLAC unless you are familiar with the format). If you choose to buy a CD we will also email you a code which will allow you to download the album immediately, to alleviate that pesky waiting-for-my-album-to-arrive-in-the mail stress. Also, now available on the site is the Clubhouse Subscription, which allows you to download all of the downloadable music on our site (over 500 recordings, of which 200 are not available anywhere else). The Clubhouse Subscription also buys you Renmin Park, the next three albums in the Nomad Series and the limited edition book that we will be publishing about the making of The Nomad Series. Please go to our website to find out more details about The Nomad Series and the Clubhouse Subscription.